The clinical trial is a form of neo-imperialism. Heralding modernity under the banner of science, the West makes the Third World its guinea pig to promote scientific innovation. It exists as the sovereign power, which controls the lives of developing countries, exercising a right over life and death through imperial and capitalist measures, and taking advantage of another’s need for self-empowerment/ perpetuation. The Indian layperson is exploited with the rise of clinical trials, and the body, deprived of its humanity, becomes an instrument to promote political interest; scientific advancement is made at the cost of human life. In Over 2,500 Deaths During Indian Clinical Trials, Ranjita Biswas disparages clinical trials. She argues clinical trials in India lack standard protocols and unethical practices are rampant in the Indian drug industry. SAM, a health rights forum, draws a petition for transparency in the clinical trials, appealing for equal compensation to participants and informed consent from participants. Chinmoy Mishra, the coordinator of SAM extrapolates: “We are not against clinical trials in the country. But there should not be exploitation of participants. Human life is precious.” What exactly is the value of human life? Clinical trials exploit the disadvantaged, whose lives are bought for experimentation: after all, who would want to die for the sake of scientific advancement alone? The rhetoric of “transparency”, “equal compensation”, and “informed consent” rings hollow as it strives to justify the worth of human life in the market. The Supreme Court’s decision to ban clinical trials until the government comes up with a “‘foolproof’ mechanism to regulate experiments”, would probably suspend the deaths resulting from clinical trials, subsequently interrupting scientific development– but for how long? 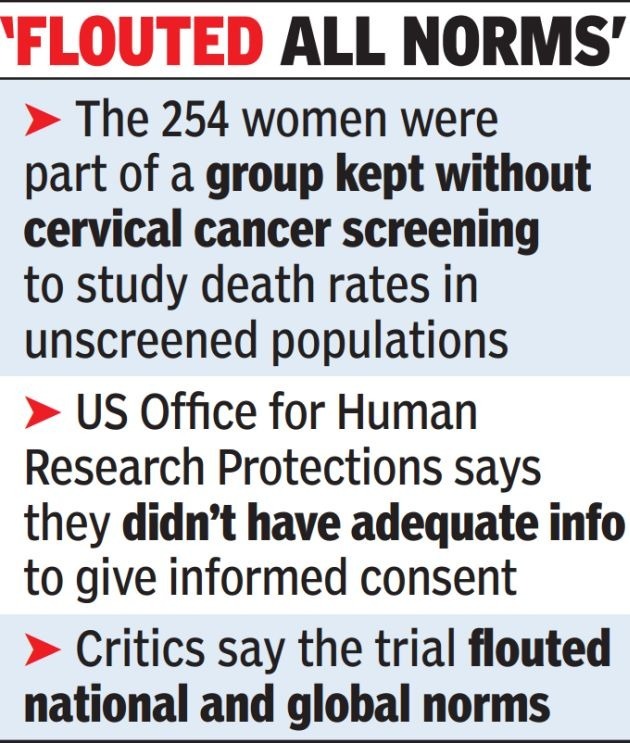 How would India progress/regress if it completely banned clinical trials? How does the political body use the personal body for its advancement? Can there be a “foolproof” mechanism at all for a health experiment? These are some of the pressing questions we need to ask ourselves. Health rights forums, such as SAM, fix a price tag on the human species and strive in good faith to educate the participants and prevent them from capitalist exploitation. But conversely, such health rights forums work in favor of capitalism by quoting a price for health. It is not “transparency” that SAM champions—it is business. By ascribing health rights to humanity, organizations tend to overlook the disadvantaged position of the participant who is ready to trade health for monetary fulfillment. Several unacknowledged guinea pigs must die before an experiment succeeds. Unfortunately, science has to feed on human health for the advancement of welfare. Clinical trials queer the individual in complex ways, combining personal and political interests to exploit the body and de-humanize humanity.